If I had to describe Off Centre festival in a few simple words I would choose ‘forward thinking’. Programmers who have the guts and the taste to be able to explore uncharted genre territories and break some boundaries always get my respect, and Off Centre has done this for the third year in a row now. Melody and genre cross-overs are everywhere once again and all the room the Melkweg has to offer will be in use. 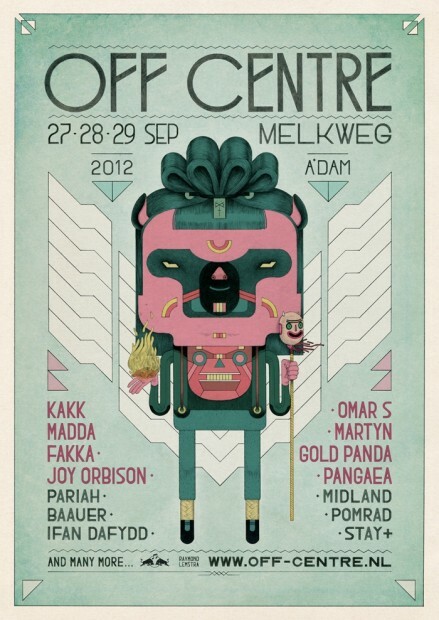 Gold Panda, Kakkmaddafakka and Joy Orbison are the main names to see for me, write those down! See you there Amsterdam!